It may not seem like a big deal for you to use your personal car or truck on the job. Or to let your teen driver use the family car every day after-school or to drive to and from a summer job. But if you or your teen driver causes an accident in either event, it may be a huge problem. Depending on whether your personal auto insurance policy contains a “business-use” exclusion, your liability insurance may not cover the car accident and you may be personally liable for damages to anyone who was injured in the crash. The reason is because “business-use” exclusions — which are included in most personal auto insurance policies in Michigan, and in many other states now as well — allow the insurance company to deny liability coverage for accidents caused by the insured person while using her personal car or truck for business purposes. As such, the failure to be aware of and comply with the provisions of a “business-use” exclusion can be financially devastating for you, personally, and/or as the responsible parent of a teen-driver who mistakenly thinks it would be “no big deal” to use your family’s personal car for non-family, income-generating business. 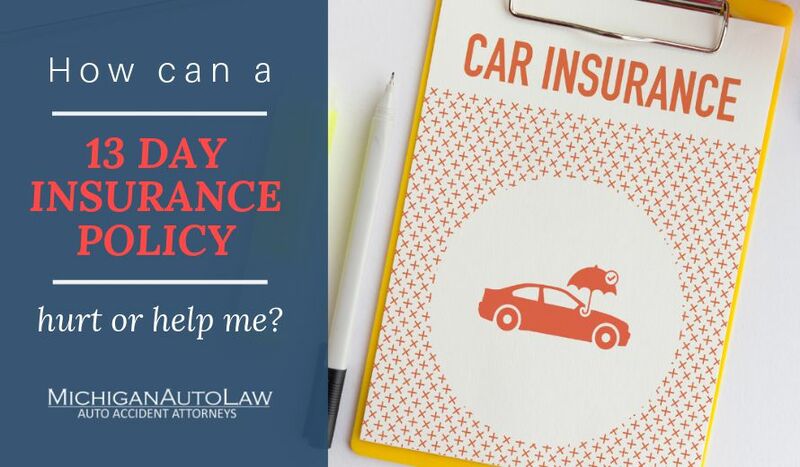 On the other hand, if an insured person states she plans to use her personal car only for personal matters, then her auto insurance premium will likely be lower, reflecting the insured person’s anticipated, limited use. Below are three examples of how Michigan courts have interpreted the “business-use” exclusion to deny liability coverage to otherwise properly insured drivers. To give you some idea of what you are looking for when you begin examining your personal auto insurance policy to determine if it contains a “business-use” exclusion, examples are provided below. Michigan Auto Law is the largest law firm exclusively handling car accident, truck accident and motorcycle accident cases throughout the entire state. We have offices in Farmington Hills, Detroit, Ann Arbor, Grand Rapids and Sterling Heights. Call (800) 777-0028 for help from one of our Michigan insurance attorneys.